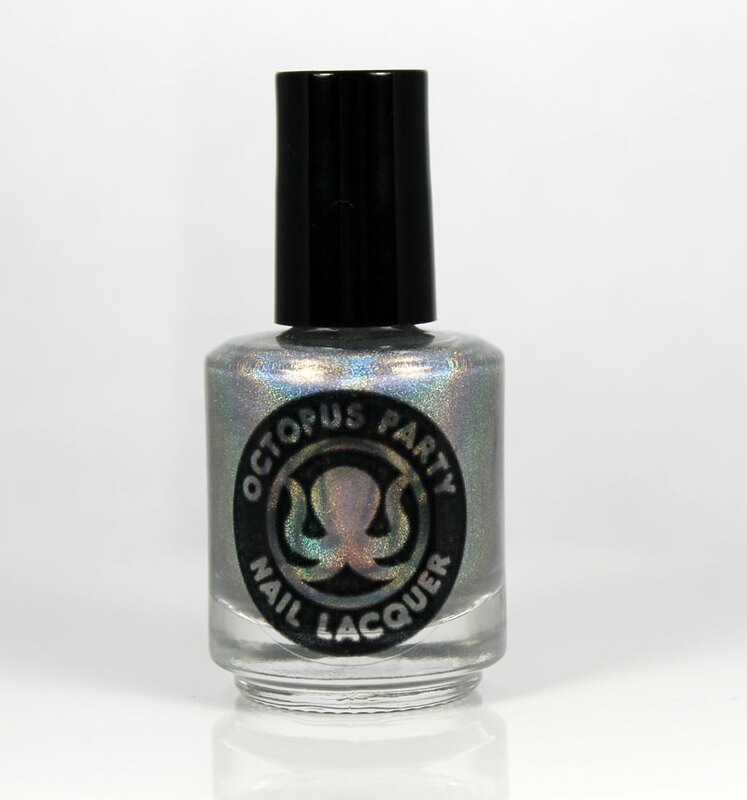 Octopus Party never disappoints. Not me, anyway. Dave dropped a lovely shade on us for the Black Friday weekend, all very hushhush. I was under strict orders not to post for several days. Well...it's been several days, so I can show you the Crown. I admit to being less than impressed when I unwrapped this gleaming little bottle. Really? A holo topper? I even told Dave as much, and he told me to have faith. I should really stop doubting the man. 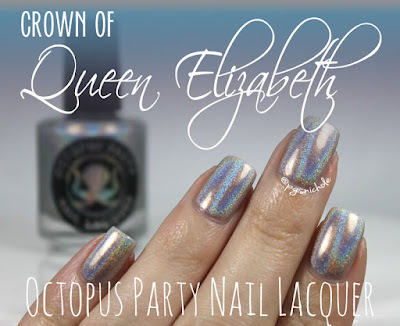 This searingly bright, icy violet-leaning silver is the perfect silvery holo. I slapped on three of the thinnest layers I could muster for these pictures, followed by my customary layer of Seche Vite. It was stunning. STUNNING. Are you stunned? I scrambled over cats and kids and piles of laundry for a peek at this glowing treasure in the sunshine...just as a bank of clouds rolled over my house. Yeah. But it is so amazing, it hardly needs the sun. I did, however, employ my sad little on-board flash. 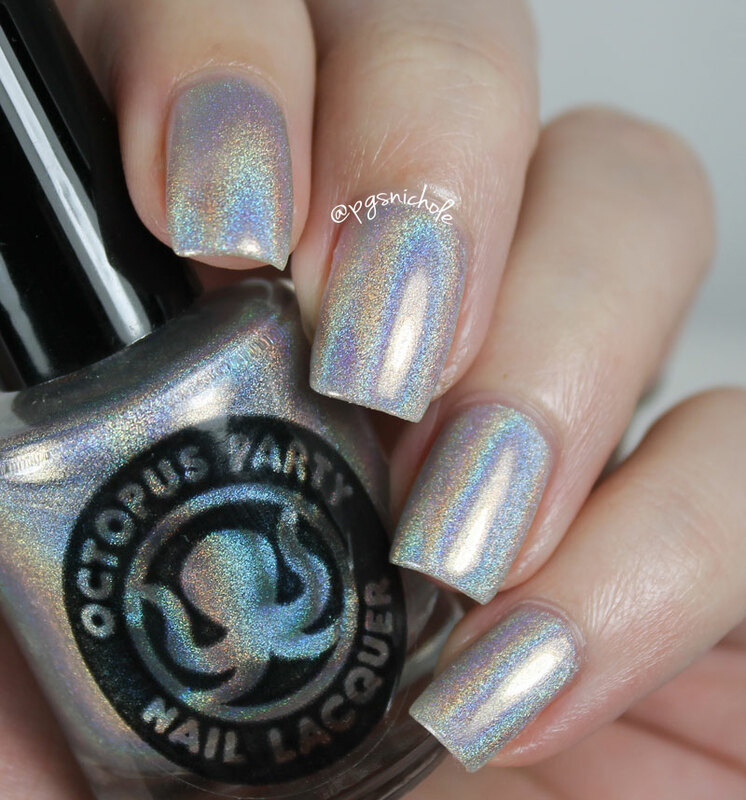 It is a pale shadow of the real rainbow this amazing polish holds. But if it looks this breathtaking in a dark corner of my garage with my pathetic flash...I can't imagine what it looks like in the sun. I only have to wait seven or eight months to see it! 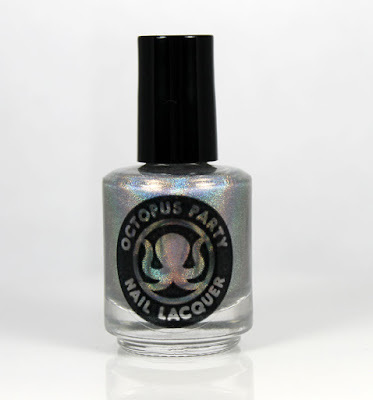 Like I said above, this was limited edition for Black Friday...and it was only announced in The Octosquad. Which you should join. There are still two shades up in the etsy shop as of this writing, so you still have a chance to try an OPNL, or maybe just grab that creamy red before it disappears forever. I too was less than impressed when I opened the package. 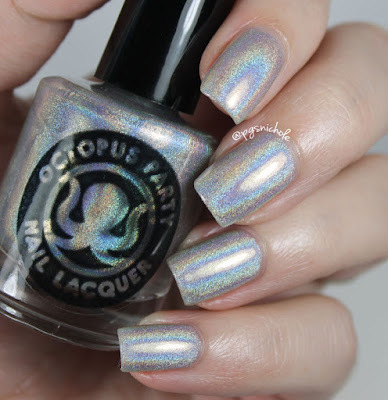 But I swatched it and then I was in love. Gorgeous photos as usual Nichole! see, the old saying really is true: Don't judge a polish by the bottle. Wowzers! If it has that much holo without the sun, I can only imagine what it looks like in the sun. someday, I will find out. The holo particles look so smooth! It is. I was a fool. Ah yes, that's the kind of sparkle I love! *SCREAMS IN FRUSTRATION* I passed on it because I didn't need another silver holo topper. It's coming back! I was wrong! This is so lovely! I can't imagine what it looks like in natural sun! Basically this is what I imagine brings Voldemort back to life. Good heavens, that is beyond heart-stoppingly gorgeous. How do you take such amazing photos is a darkened corner or your garage?! Haha yes. And it is just my flash, doing its thing. This is great on. Have you put it over anything yet? I tried it over black but it's too dense. I think it might work over lighter colors. That is so gorgeous! I recently tried this brand for the first time and have since fallen in love. Yes, I'm totally stunned; I mean, look at that flame! WHOA! That is gorgeous! 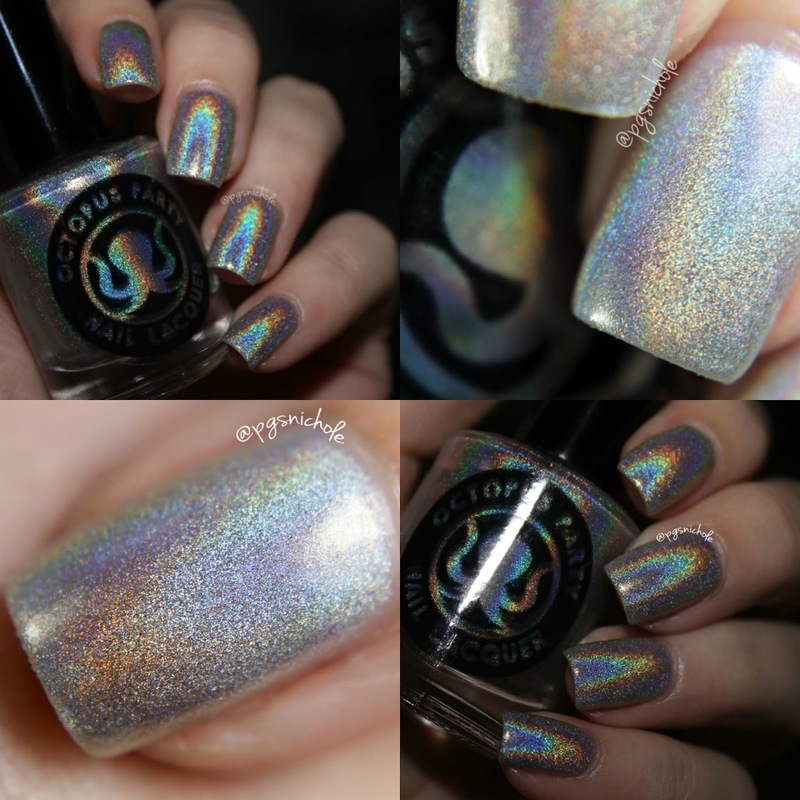 I never get tired of silver holos! I have less than five. Can you believe it? Absolutely beautiful pics as always!